For a four day work week, this week is dragging. Can't wait for Friday, but there are some pretty cool things that I have come across over the past week and a pretty bad event last Friday that scared me silly. Labor Day Monday and a Four Day Weekend. There's nothing better than a three-day weekend...except of course a four-day weekend. During this nearly blissful time (see Slice into the Woods below) we went to Cold Springs Tavern to see our friends perform in their band, Holdfast Rifle Company, on a strangely warm evening. We also had a picnic at the Rose Garden across from the Mission with a group of about ten of us, including the puppies, where I overdid it with the cheese and crackers, but whatchagonnado. I was also able to spend a day working on my comic script and a few more on draft four of the novel--I am about ready to write a query and synopsis. I also picked up an iPad, which I hope to be able to really mess around with this weekend, so I can begin a soon-to-be web-based project. Comics Experience With Andy Schmidt - Last night was the final class for this six-week course, and now that it is over I can say that it was tremendously informative and helpful, not to mention fun. The google group, comprised of my fellow students, provided vital information for my script and it turned out all the better for it. Currently, my work is in Andy's hands and he will be providing a detailed critique over the next two weeks. Once I have it back and I make the necessary changes, my fellow classmates and I will begin the process--on our own--to find artists and to eventually have our stories self-published in an anthology. Should be a lot more work, but will be fun and worth it. 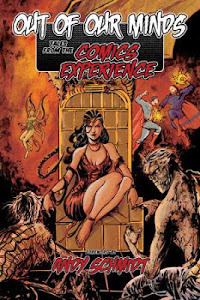 Also need to mention that Andy gave everyone who was interested a free month to the Comics Experience Comic Creators Workshop, where all aspects of comics creation are discussed and critiqued. Should continue to be valuable and vital to my goals as a writer. The Goon Volume 2: My Murderous Childhood & other Grievous Years - Written and drawn by Eric Powell. 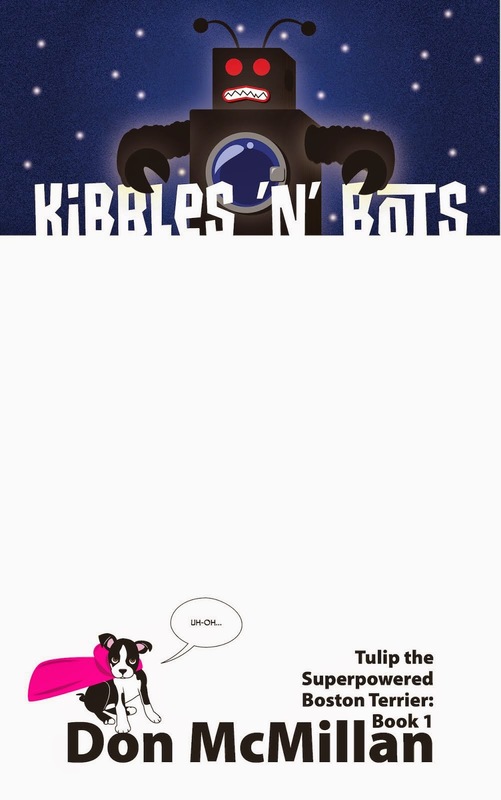 The origin of the Goon and Franky is explained in this one, and it is not what I expected. The story continues to be oddly beautiful and the characters even more entertaining than before. Horny sea-hags, pie-addicted skunk apes, an army of cannibalistic hoboes, and of course zombies sucked me in even further, and now I have to get all of the rest of the tpb's. Oh whoa is me, and my pocket book. I have volumes 3, 7 and 8 on their way to me via a deal that I could not pass up, and now I have to get 0, 4-6 and 9. Pulpy goodness through and through. 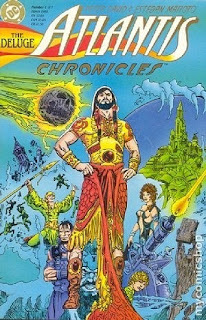 The Atlantis Chronicles - written by Peter David with art by Esteban Maroto. An incredible and complex story and mythology created by Peter David detailing the history of the rise and fall and rise and fall again of Atlantis. 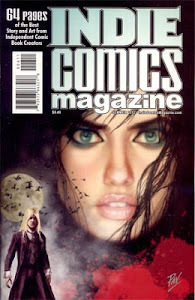 Each issue is told by Atlantis's historical chronicler, an ever shifting character throughout the series who instills their own bias and voice when they take up the task of writing. The first half of this seven issue mini-series details the court of King Orin and the feud that erupts between him and his brother, Shalako. Where Orin wishes to focus primarily on Atlantean technology, Shalako wishes to appease the sky god, Suula, and live a life of sorcery and mysticism. The feud escalates over Orin's decision to construct a dome around the Atlantean city of Poseidonis as a deterent to the invading tribes envious of Atlantean technology. Shalako predicts this will anger Suula and that disaster will strike all of Atlantis, which comes to pass and the city sinks below the waves. There is an abrupt jump in time starting in issue number five, which was a bit disjointed, but a page or two in and I was hooked all over again. Now if only issue number seven would arrive so that I can finish this wonderful series. Highly recommended. Legend of the Seeker: The Complete First Season - Based on The Sword of Truth novels by Terry Goodkind, this fantasy series focuses on Richard Cypher, the seeker and his quest to destroy the power-mad Darken Rahl before he conquers the world. Richard is set upon his path by Kahlen, a Confessor attempting to find the Seeker and a great wizard, Zeddicus Zu'l Zorander, to lead the charge against the evil that is Darken Rahl. I expected this show to be somewhat cheesy and only mildly entertaining, and although correct in my first concern, I was wrong on the second; it is very well done and highly engrossing. Now I have to finish the twenty plus episodes before it vanishes from Netflix streaming at the end of the month. Definitely worth watching if you are a fan of fantasy shows. Tulip Getting Sick Last Friday - Nothing makes you feel more powerless than trying to help a sick animal or child that comes to you for help. My heart broke when Tulip came to me not knowing what was happening to her and wanting my help, and I was powerless to do anything other than be with her. It started with her not eating all of her food and she was fairly sluggish on the little walk that we took before I went downtown for a couple of hours. When I returned, I took her outside again to go to the bathroom and she proceeded to violently throw up about five times. This happened every hour for seven hours straight. Panic crept in and when Amy got home, we took her to the vet. Thankfully, the kind aid told us that this would pass and that if we wanted to see the Dr. we could, but he recommended that we remove food and water for 24 hours to let the problem work itself out of her system and to call if she was not better the next day. Tulip continued vomiting bile until 8:45 p.m. and then that was it. The next day she wanted to play, despite being weak, and started to slowly eat bland food. Poor puppy. This sucked. ^It goes without saying that the fees will continue to NOT go to the 9/11 First Responders who still suffer from health issues related to this horrible tragedy.